The tick carries serious diseases despite it’s size. The diseases it carry are encephalitis and Lyme disease. Encephalitis is the inflammation of the brain with symptoms such as headache, vomiting, fever, and confusion. This disease can cause the sufferer to experience seizures, hallucinations, memory and hearing problems, as well as trouble speaking. Meanwhile, the Lyme disease, if untreated, may cause inability to move sides of the face, extreme headaches, joint pains, and others. Ticks live on footpaths with possible humans or animals passing, and they can be difficult to notice. After a walk in the woods, it is essential to check for any black spots on your body. 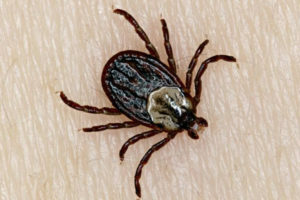 Ticks latch themselves onto the skin and penetrates into the skin for blood. If you are experiencing symptoms similar to the ones mentioned above, or found a black spot on your body, consult a doctor immediately. The Northern Viper is not just one of the most dangerous animals in Russia, but is also a danger to the world. Mostly found in western Russia, this viper keeps their distances from humans. To make sure the viper knows your presence, stomp as hard as possible. This will alert it and it will keep it’s distance from you. The venom of the viper can kill a small person weighing under 60 kg. With poisonous fangs of 4 millimeters long, the viper eats birds, small mammals, lizards, insects, worms and spiders to survive. 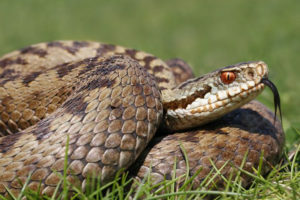 In addition, the size of the viper can grow up to 89 cm. A famous animal in Russia, having been the mascot of 1980 Moscow Olympics. The brown bears are fast animals, able to run up to 50 kilometers per hour. 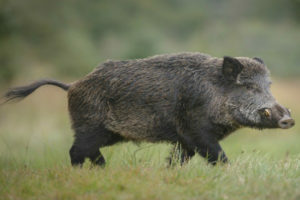 They are excellent hunters and extremely dangerous, able to kill it’s enemy with one stroke of its’ paw. The brown bear eats both meat and vegetables, with their common foods being rodents, rabbits, fish, acorns, flowers, grasses, and berries. 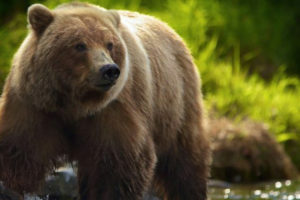 The brown bear lives in the forest area and hibernates during winter. However, some types of the bear does not hibernate. There have been many cases of brown bears attacking humans, done out of curiosity most likely. Different bears require different tactics to survive a bear attack. Before going into the forest, reading some guides would be helpful. It’s a general knowledge that wolves are dangerous animals. Existing in all parts of Russia, the wolves lives in packs and can attack humans easily. In case of a possibility of the wolf attacking, climb the nearest tree as fast as possible. The wolves are unable to climb trees and it is advised to stay up there until they leave. Thankfully, wolves rarely attack humans and they only do so when food shortage occurs. 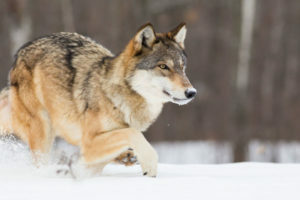 The main food for these wolves are wild boars, musk deer, roe deer, red deer, moose and wild goats. These animals generally weigh around 37 to 44 kg with grey furs. One of the most dangerous kind of spider, found in the Astrakhan Region. This nocturnal animal’s initial bite wasn’t that painful. After some time, then the extreme pain sears through the victim’s body. 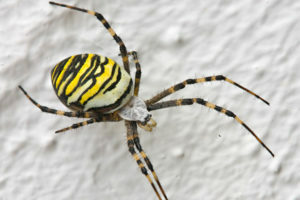 Black and yellow in color, the karakurt spider generally lives away from the humans. This doesn’t mean there hasn’t been a case of karakurt spider bite, though. If you’re bitten by this spider, the first thing to do is pressing a burning match against the bite, destroying the poison that hasn’t coursed through the veins. Naturally, it is vital to seek a doctor immediately. This fish is surprisingly intelligent and knows how to hunt any animals of any size that gets into the water. 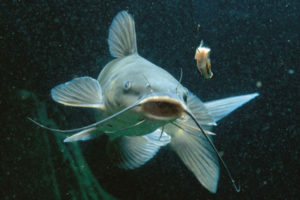 The catfish itself is around 350 to 370 kilograms in weight and 4.8 meters in length. The catfish normally eats planktons, birds, other fishes and algae, but there have been cases where it ate dogs. Catfishes have attacked humans as well and these cases did not happen just in Russia, but in other countries as well. Caution is advised.